ZPN is a VPN service that sounds awfully a lot like a VPN. No one wants to give up their data to ISPs and government agencies. And the only reliable and easy-to-use way in which you can ensure that your internet data doesn’t end up in the wrong hands is to use a VPN service. But which VPN service should you go for? There are so many VPN services today that it is hard to know which one genuinely protects your privacy and anonymity. Well, lucky for you, we do all the hard work and pick out the VPN services we believe deserve at least a review. This time around, with our ZPN review, we’ll take a detailed look at how good ZPN VPN service is. By the time you finish this ZPN review, you will be in a much better position to decide whether you should sign up with ZPN or not. We’ll come to the packages part in a bit. Because ZPN has different selections for new users to sift through. 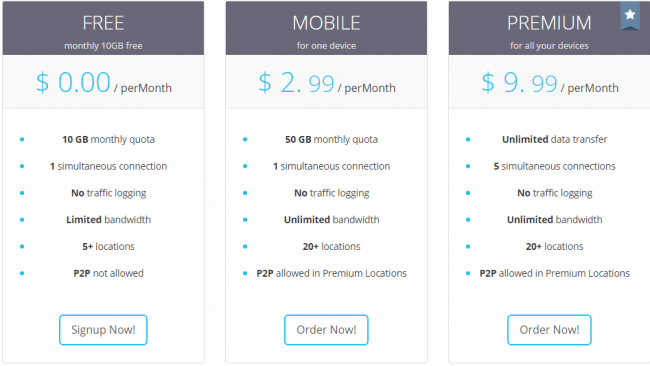 In other words, ZPN enables new users to use its VPN service in a total of four ways. Two of those four ways are absolutely free. But these free options do come with their own set of limitations and restrictions. The first way you can use ZPN to protect your data and privacy is with an Android client. Android client should be a dead giveaway for anyone to know that this service only works on mobile phones. In any case, with the Android client, ZPN allow users to take advantage of its VPN services. The use, in this case, in on an hourly basis. You don’t need to register with ZPN in order to use the Android ZPN VPN service. However, this free “Android-only” offer comes with some limitations. One of those limitations is the number of locations you can choose as your VPN server locations. You have two location options. The Android service itself will disconnect from the network after very hour. Of course, that is a major inconvenience. Would you really mind a free Android-only VPN service if all you have to do is connect to the VPN service after every hour? Besides, ZPN itself calls the package Easy Connect. And perhaps it is justified. You don’t have to register and don’t have to pay any money. So it can’t get any better than this as far as VPN service is concerned. The quality of the VPN service, of course, can vary. The other option with which you can use ZPN is via registration. All you have to do is go through a registration process. ZPN will allow you to use its VPN service for free and will work on any device. The limitation in this package is that on the monthly data usage. The transfer limit for this package is 10GB per month. But because you aren’t paying a single penny for the VPN service, it is not that bad of bargain or is it? Regardless, the bandwidth is also limited for this package. But because you went through the trouble of registering with ZPN, the company allows users to connect to about five different locations as far as VPN servers are concerned. Clearly, this option is better than the Easy Connect option. You can’t engage in P2P file transfer though as it is disabled for this package. For what it’s worth, we don’t know of any VPN service that doesn’t log your information and private data and still offers users to engage in P2P transfers on their free services. In short, ZPN free services are well worth your time. Are they worth your privacy and anonymity? Well, you’re going to have to read the full review to find that out. If you are serious about your privacy and anonymity, then free VPN services are, for the most part, out of the question because running a VPN service business is expensive. There is no way a VPN service can offer free services without selling your data or serving you ads. So it is always better to sign up for paid VPN services if you want to make sure that your business on the internet remains just your business and not anyone else’s. Anyway, the free paid ZPN package is called the Mobile subscription package. This package allows users to use ZPN VPN service on only one given device. Moreover, this package comes with a 50GB data transfer limit. Of course, ideally speaking, you would want the VPN service to offer unlimited bandwidth but you can’t everything or can you? 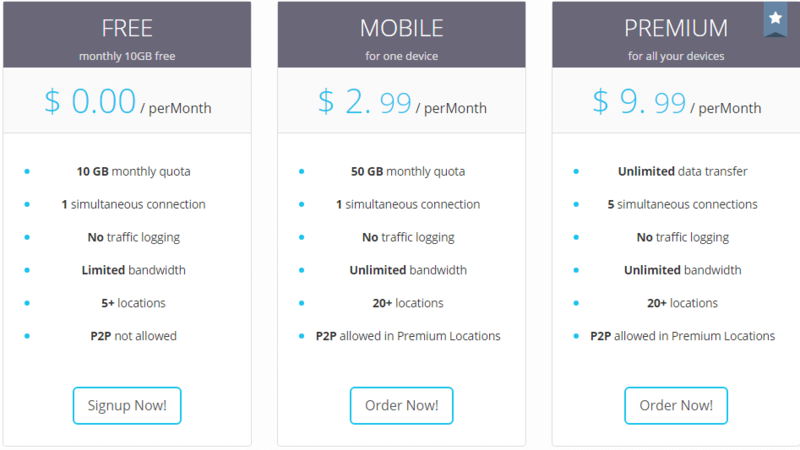 The Mobile subscription package comes with all VPN locations that ZPN has on its roster which consists of 20+ locations. Users who want to use ZPN for P2P file transfers can do so with the Mobile subscription package. Needless to say, this is the cheapest way for any user to sign up for ZPN. If you sign up for a full year instead of a single month then you can have the Mobile subscription package for as low as $1.99 per month. If you pay just for a month then the same package will cost you around $2.99 per month. Sign up for the Mobile package for a period of four months and you can bring down that monthly price to $2.49. The best ZPN package, without a doubt, is the Premium package. ZPN Premium package is perhaps the only package that can be labeled as the full and complete package. If you purchase the Premium package for a period of one year, then you’ll only have to pay $5.99 per month for it. Sign up for the Premium package for a period of four months and you can have the service for 7.99 per month. A single month’s price of the Premium package is around $9.99. So, for new users, the annual option is the cheapest one irrespective of the actual package. The Premium packages allow users to connect up to five simultaneous connections on a single account and there is no data transfer limited. All Premium plan users get unlimited bandwidth as well. With Bitcoin, users can have an added layer of anonymity and the user’s privacy is protected from the starts of the process to the finish line. If you want to have a high level of anonymity then BitCoin is perhaps the only way to pay for online services. The great thing about ZPN is that even though they offer free services along with paid ones, they still have enough confidence in their product to offer a seven-day money-back guarantee with each of their paid packages. Perhaps, this is ZPN’s way of ensuring full user satisfaction and rewarding users who trust the VPN service and sign up for it in the first place. ZPN has its headquarters in the United Arab Emirates and is managed by the company known as Vostok Soft FZC. We’ll talk more about the company in the following sections. ZPN also offers a custom-made firewall called the NAT firewall. This firewall is enabled on all active VPN connections by default. Consequently, this feature adds an extra layer of anonymity, security, and privacy to each VPN connection. And because of this feature, all ZPN new users are protected against cyberattacks such as distributed denial of service attack or DDoS. Users can change their VPN servers an unlimited amount of time without any additional charge. The ZPN service is up for 99.9 percent of the time. Which is a high percentage for any service in the VPN industry. P2P and VoIP services are allowed on the Premium packages. You can a tell if a VPN service is serious about user privacy and anonymity when it is not afraid to be transparent about its operations and provides ample options as far as security tools are concerned. ZPN is one of these serious VPN service providers. Unlike many other VPN services, ZPN doesn’t go for choice of security tools for the sake of it. They go the extra mile and ensure that whatever security feature they are offering is actually worth it. For example, the company does not offer PPTP as one of its VPN protocols. Because ZPN deems it as insecure. ZPN does offer L2TP VPN connections. But the majority of their VPN connections are carried by OpenVPN VPN protocol which makes total sense. OpenVPN is the most widely used VPN protocol and is the safest of all VPN protocols. ZPN users also have the option of adding SSL on top of these VPN protocols to further increase the level of their security and anonymity. Moreover, ZPN has a full-fledged web interface for all these options and the detail along with precision provided by the company’s interface are truly remarkable. ZPN puts users in total charge of what level of security they want as a registered user of the company. By default, ZPN uses the OpenVPN VPN protocol with BlowFish-128. But this can be changed to the much stronger encryption in the form of AES-256 cipher. As far as Hash authentication is concerned, users can select from SHA1 and MD4. For the handshaking feature, the security level can be notched up to RSA-2048. Needless to say, these options offer a high level of online security. We’ve already mentioned that the SSL options enable users to bypass online restrictions using the OpenVPN VPN connection in some of the countries. But ZPN can’t, or won’t, change the fact that it is based in the UAE. UAE is notorious for being very hostile towards VPN users and companies. As far as the legal side of the things is concerned, ZPN is under no legal obligation in UAE because most of its VPN servers are based outside the UAE. Perhaps ZPN should be awarded for being upfront about this fact. The company doesn’t really attempt to hide that it is based in a country where VPN users aren’t liked. UAE isn’t exactly the most VPN friendly place on earth. ZPN talks about it on the official company blog as well. Our research for this ZPN review has revealed to us that is indeed the status of VPN services in the UAE. Of course, the situation itself is unfortunate. No VPN service should go through such troubles in any given country. And because that’s how the world works, there is always an upshot to a problem. ZPN users don’t have to worry about interference from government’s jurisdiction. Add to that the fact that ZPN has a zero-log policy as well. IF you sign up for one of the free packages then ZPN will keep bandwidth logs. These are necessary, according to the official sources, because ZPN has to keep track of how much VPN they have used in a given month since free accounts have bandwidth limitations. As far as Premium users are concerned, no logs are kept on them for the obvious reasons. Mainly that they are paying for their VPN services. A zero log policy means that ZPN will not be able to share any user information with law enforcement agencies. Because they don’t have logs on their users. So even if law enforcement agencies make a legal request to ZPN to hand over user data, the VPN service can’t. All of this means that ZPN, even without all the bonus features, is a very secure VPN service. Users who sign up for the paid version of ZPN should expect a decent level of anonymity and privacy. Customer support starts as soon as a potential user visits the official website of a given VPN service. SO let’s start out ZPN review Customer Support section by talking about the official website. The official ZPN website is modern and easy to navigate through. It gives off a feeling of professionalism in other words. Any information that a new user could want to find is easily findable on the home page. Not to mention the fact that they exist. Because some VPN service providers deliberately skip on these documents by burying them somewhere deep in their official website. ZPN staff has done a good job of not overloading the main page with too much technical information. There is some technical information though. And we think that is useful for new users. As mentioned before, when a new user registers with ZPN, he/she can control and view the level of security in a very precise manner. ZPN VPN connection is very customizable in other words. This feature is obviously welcome because some VPN service providers don’t do the hard work of making sure that users are able to tinker with their product according to their own preferences and likings. The account dashboard is very informative and neatly populated even for the free users. It shows the remaining amount of data limit in an easy-to-read manner and hence free users don’t have to install third-party programs and do tough mental maths to figure out how much VPN data they have left for the month. ZPN official blog is regularly updated and the authors of the blog make sure that a wide variety of privacy-related topics are covered in detail. You can go to the official blog and scroll through the pages to find a variety of blog posts covering topics from legal situations of VPN services in Dubai among other stuff. There is also a web forum for ZPN users and a guides section as well. IN other words, the official ZPN website is a very practical resource when it comes to VPN and VPN issues. The only way you can get in touch with ZPn and submit your query is through the use of a web-based ticketing system. Of course, you’ll have to register with ZPN before you can use the ticketing system for the obvious reasons. The system is easy to use but not the most interactive or fastest. But do expect to get your queries answered within a few hours. While an online ticketing system on its own isn’t bad, a modern VPN service has to do more. Apart from the ticketing system, users can get help from the neat little FAQ section on the official website. It doesn’t have enough relevant and quality content, so there is no need to talk about it anymore. What good is a FAQ section if it doesn’t offer any technical details about common VPN issues. Ignoring the official website, you can also get in touch with ZPN through its social media profiles which are moderately active. Don’t expect them to answer all your question though. Afterall, who want to do that on Facebook right? First, we should address the signup process because that’s what every user has to go through before getting the VPN app. If you go to the official ZPN website right now, the homepage says, in bold, that it will only take you around 45 seconds to go through the registration process. We would like to say that it is not true, but upon researching some more, we’re inclined to say that it probably is. All you need to do is provide ZPN with a valid username and password along with your email address. You do have to validate your account before your ZPN account is activated for the first time. The only problem we think, and this takes the longest amount of time in the registration process, is the CAPTCHA requirement. Everybody knows that machines cannot perform better than humans on CAPTCHAS so why even bother? Of course, no one wants to sign up for a VPN service where there are only bots. So perhaps ZPN have their reasons as well. The VPN client itself has a rather clean interface. It is simple and intuitive. Visually speaking though, it resembles the smartphone ZPN application in many ways. Regardless, it works well enough and new users should not have a problem in using it. Two things that all users want to do when they run a VPN app are select a VPN server and then connect to that VPN server. ZPN VPN app enables users to accomplish both steps in an easy and simple manner. But don’t think that just because the VPN app is simple, there are no advanced options. You just have to go to the appropriate section to have a look at them. Click the menu icon that is located on the top left of the screen and you should be able to access some advanced settings. You can set the ZPN VPN application to start automatically on Windows restart and take a look at the Kill Switch feature too. The Kill Switch feature basically stops your internet traffic from escaping into the wild unprotected when there is VPN connection drop. ZPN VPN Windows client also offers heavy DNS and IPv6 options. IN other words, users are protected from all possible angles. With these options, the possibility of a DNS leak becomes minimal. How does the ZPN DNS leak protection work? It works by altering the user’s Windows network adapter and physically changing the settings to utilize ZPN’s DNS servers. For IPv6, the ZPN VPN application simply disables the IPv6 when the user is connected to the VPN service. You don’t need us to tell you that both of these options are basically nuclear options. The Windows client also provides users with the option of changing VPN protocols and ports that are used by the VPN client by default. This is very useful for users who want to adjust their VPN settings according to how different the network conditions are at the time. Users have the option of a checkbox to load their configurations from the web interface tool we discussed before. All of this means that users have more granular control over their VPN connections than ever before. You control the level of your privacy and security. Your VPN connection is truly yours from the inside as well as the outside. ZPN VPN app for Windows allows users to choose if they want to have automatic updates enabled or not. Privacy-conscious users should probably turn off automatic updates but then they leave themselves open to exploits that may have been fixed in the updates. With a single click of a button, users can instruct the app to check for updates and then install them as soon as possible. All VPN services decrease your internet connection speed. The reason for that is, VPN services have to encrypt your data and then send it to the general internet through one of its own servers. All of that takes processing power and time. And hence, VPN services slow down raw internet connections. From our research for this ZPN review, we have found out that ZPN VPN servers generally have high speeds and are reliable. Users should face no problems in browsing the internet. Streaming and downloading activities should also face little issues. And that holds true for both free and Premium subscribers. We’ve already mentioned the fact that ZPN does protect users against DNS leaks. As far as DNS needs are concerned, ZPN makes use of the standard Google services in this department. But just because you didn’t find your operating system and the list, doesn’t mean that ZPN wouldn’t work on it. The official website has some detailed and thorough setup guides for all major platforms. ZPN is perhaps one of the few premium VPN service providers that offer such detailed guides. And the company doesn’t just give you guides. If you’re the type of user who likes to have personalized OpenVPN config files then ZPN has got you covered as well. This is the kind of transparency that all VPN service providers should have. Because it allows everyone to see what is happening in the background and whether a VPN service is providing users with the service that they are advertising. What About ZPN Android App? Users can download the ZPN android application from Google Play Store. As indicated earlier, the Android application is quite similar to the Windows application in its appearances. It does have its own perks though. For one, users can use the ZPN VPN app for Android on an hourly basis for free and that too without the need for any registration. The Android application also gives users the options to select between strong VPN connections such as TCP and UDP. It also allows users to select their favorite port to connect over. Moreover, there is a battery-saver mode as well. Just like with the Windows application, Android users can load custom configuration settings from the web interface. There is no option of automatically starting the VPN service on Android though. The Android VPN app also does not have the option of automatically kicking into action whenever the user connected to an unsecured Wifi network. With that said, ZPN Android VPN app is still a solid VPN app. As the time of researching for this ZPN review, ZPN offered a total of 272 VPN servers located in more than 20 countries around the world. As mentioned before, Premium users can access the internet via all VPN servers and use all locations. The free ZPN users can only use 2 (and 5) locations. ZPN has a strong foundation to become a good VPN service provider. It has a reasonably well-developed client for Windows and Android. The company’s log policy and transparency practices are strong. Add to that the fact that users have high customization options and the customer support is no slack either. Moreover, the prices of different packages aren’t high but they aren’t cheap either. Users on a budget can use the free options though. Don’t be discouraged by the term “free” in the case of ZPN. The free VPN service is as good as the Premium VPN service but just doesn’t have the same range of features such as number of locations and usage limits. With that said, ZPN gives you more than one reason to upgrade your service to the Premium plan if you’re happy with the free plan. There Is also a money-back guarantee so regardless of the fact if you pay or don’t pay for the service, you are secured. ZPN definitely deserves a try. The obvious downsides are that it doesn’t have live chat and doesn’t have a feature that is truly remarkable. Running a VPN service is a tough business for the simple fact that the VPN industry is very competitive. To gain any sort of traction, a VPN service cannot be just “decent”. It has to provide something remarkable. ZPN doesn’t have that “remarkability” about it. ZPN VPN service is a relatively unknown VPN service and it does itself no good by not offering something unique and out of the ordinary. While it offers good speed and neat applications, it doesn't have live chat and enough extra features. We hope ZPN fix this as soon as possible. In all honesty though, the lack of customer service after the user has paid is true for the majority of all companies all around the world and not just online companies or even VPN companies.